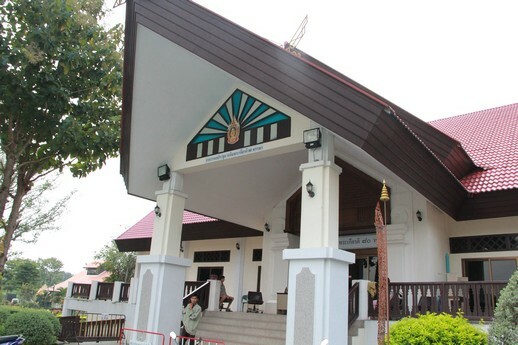 You are currently browsing the archives for the อุปการะสุนัข category. 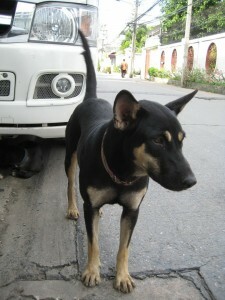 น้องหมาหาบ้านด่วน! 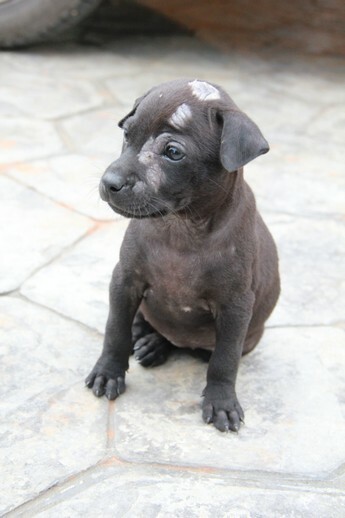 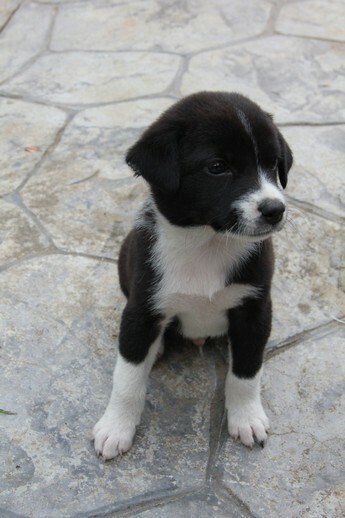 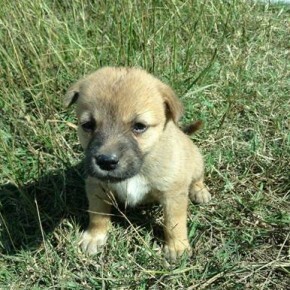 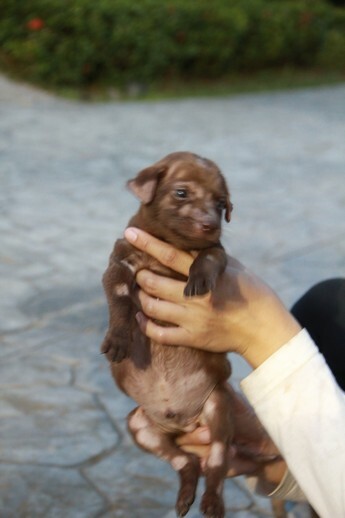 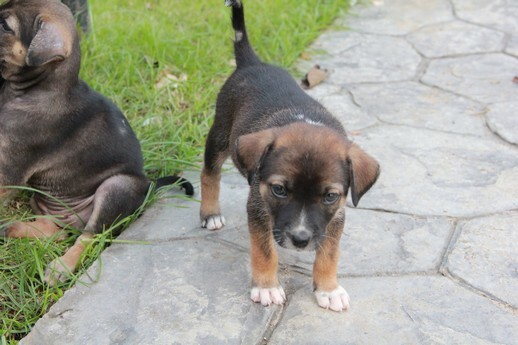 !/ 3 Puppies need home urgently!! 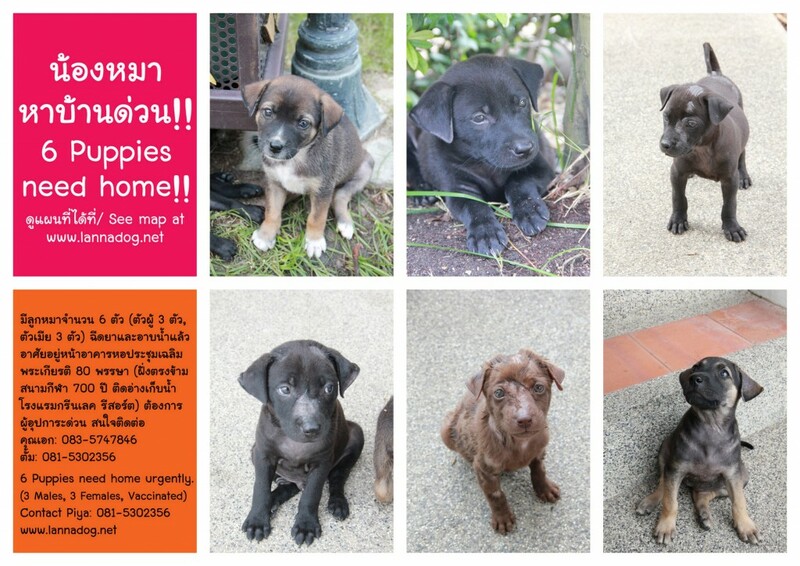 Puppies need home น้องหมาหาบ้านด่วน !! 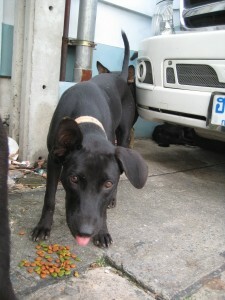 Tommy and Lucy have been dumped at Laguna Home, Chiang Mai 2 weeks ago. 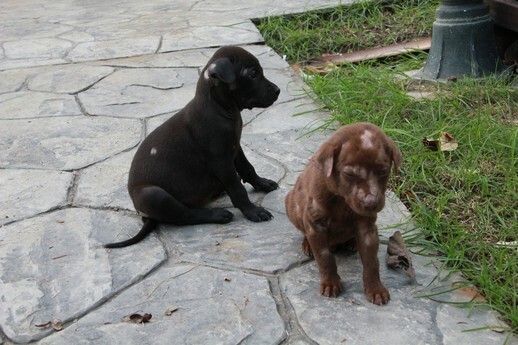 They are lost and have been followed a Moo Ban’s gardener. 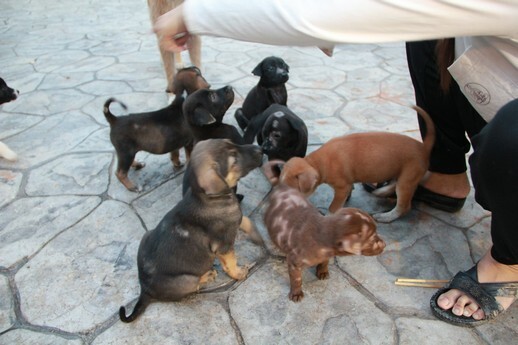 They are very friendly and good temperament. 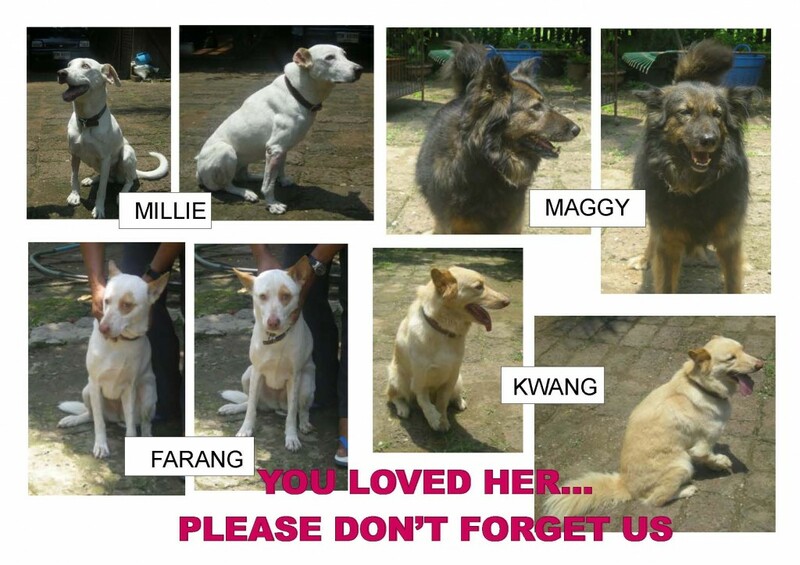 They look so sad especially Lucy, she must miss her owner very much. 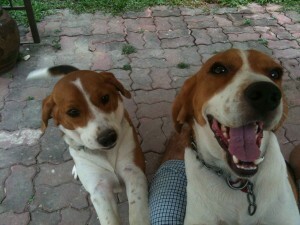 My elderly mother, 85, has two lovely Beagles in Chiang Mai, age 18 months. 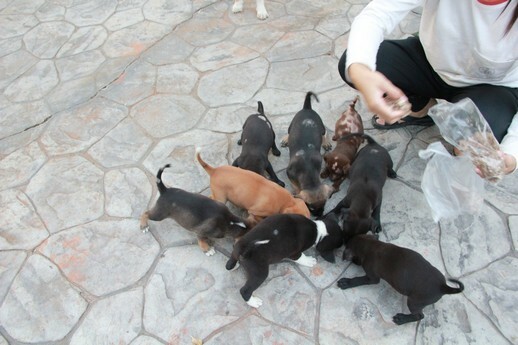 Mom has suddenly taken seriously ill and is no longer able to care for them. 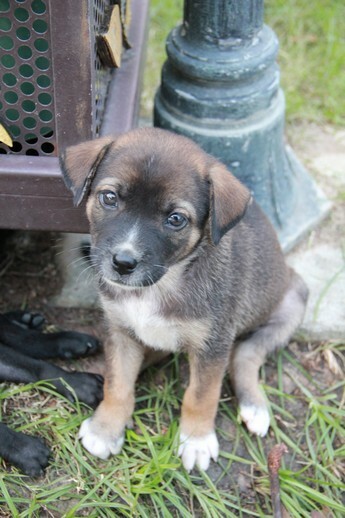 We’re doing our best to care for them, but we travel often and don’t have the time to give them the attention they deserve. 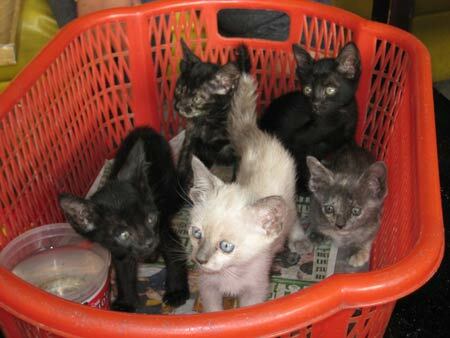 We want to find them a good home. 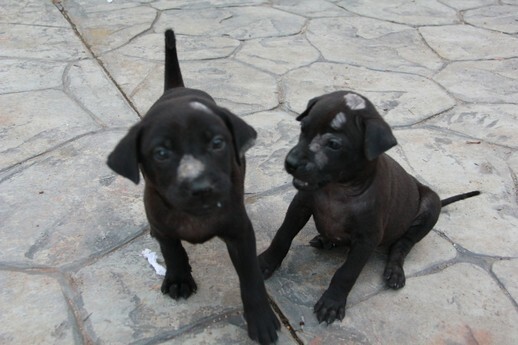 Both are spayed, with all their vaccinations! 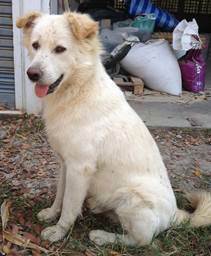 Kem has been sitting waiting patiently for 3 days for his previous owner to return – but sadly he wont be coming back. 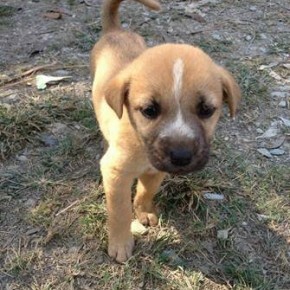 Wanting to find a good, safe home for him. 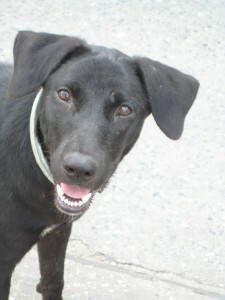 We already have 3 medium-large sized dogs in a small house, otherwise we would keep him – as he has a nice temperament. 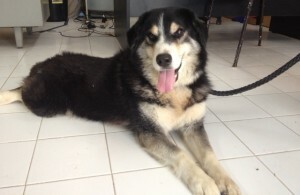 He is healthy, and appears to be a bang-keaw mixed with something (see photos) , his colours / markings are very attractive, and he has a very easy going personality. 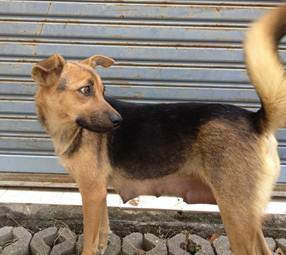 He has previously been bought up in a Thai way, where the front door is open, come and go as you like… although he doesn’t seem to go too far from what he called home. 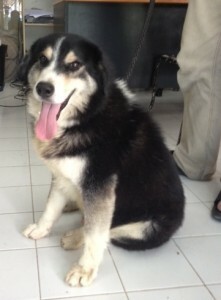 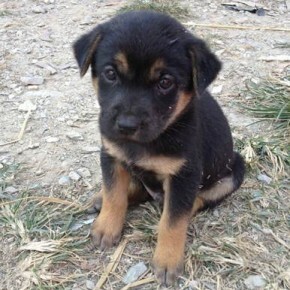 We ask for no payment, only that you have a home where he will be loved as he deserves. 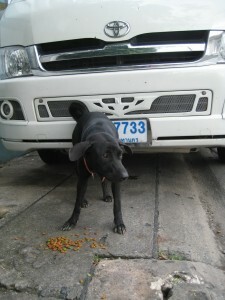 Feel free to arrange to call Chris (T. Tonpao, A. Sankamphaeng);Tel 087 1903601 to arrange to come meet him. 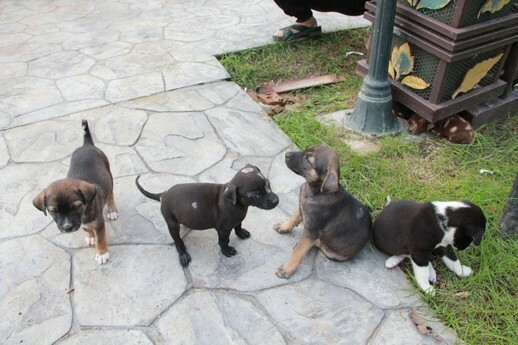 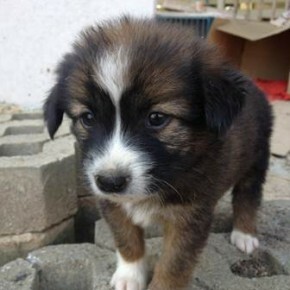 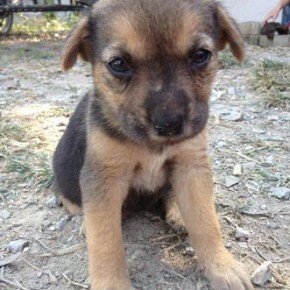 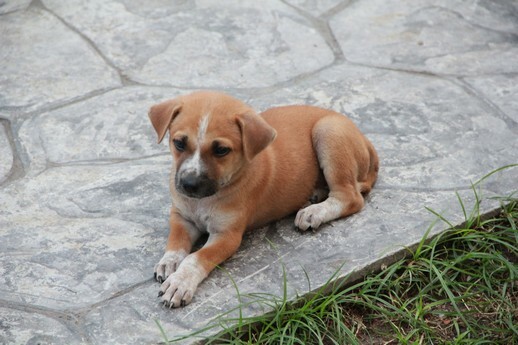 Friendly Soi dogs need home soon. 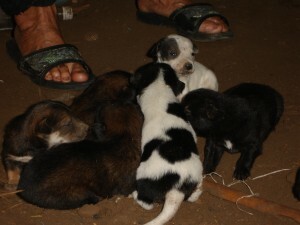 They are sterilized and rabies vaccinated. 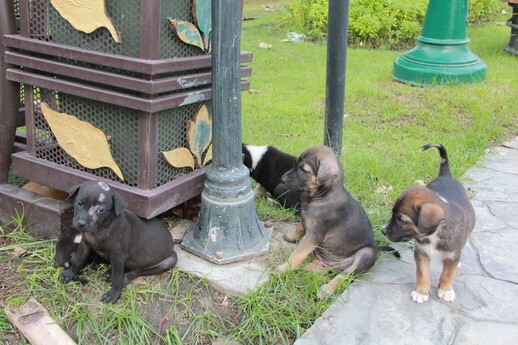 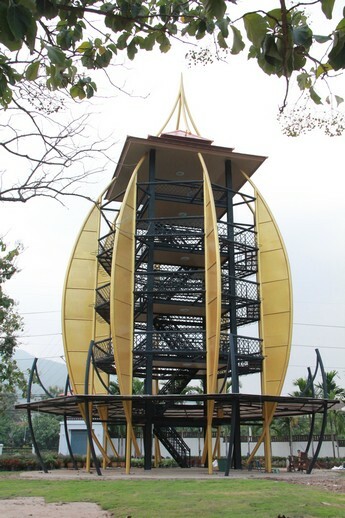 They will be removed from the Soi Orn Nut 36 to a Bangkok metropolitan shelter. 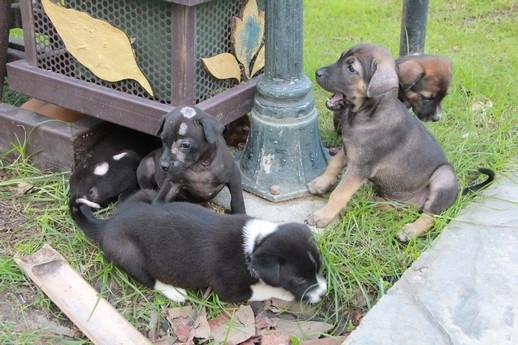 Give them a life !! 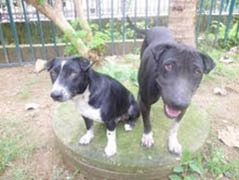 2 remaining dogs (Maggie and Millie) of Roshan who are desperately looking for a new home. 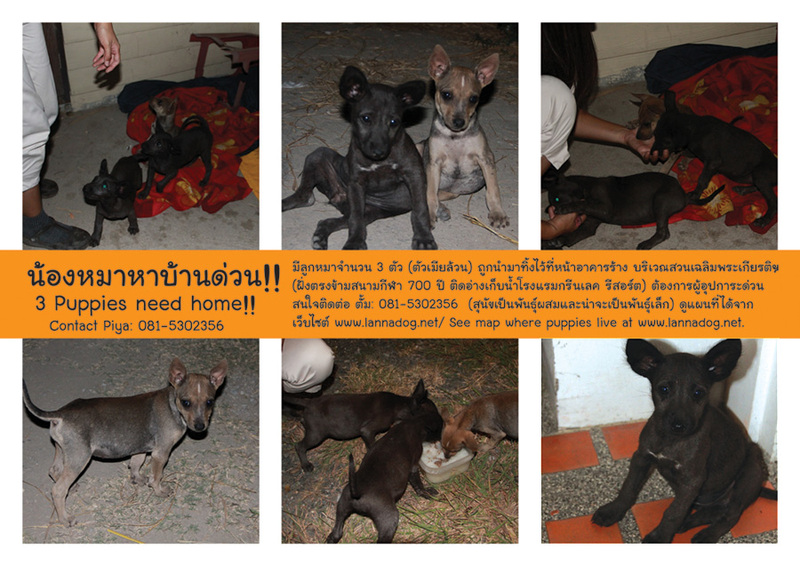 Already 2 have been adopted, please help us to find them a nice home. 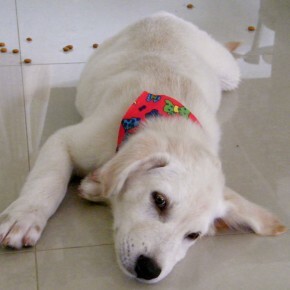 he is a 3 month old male, He arrived at my home in Ban Pa Lan Sansai four days ago in some distress, since then i have had him cleaned, and a visit to the local vet for injections and treatment for flea and tick infestation, rabies injection and medication for body wounds due to him constantly scratching. 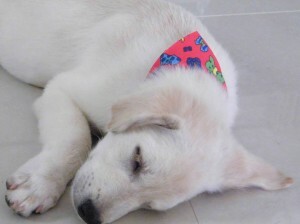 He is now getting more relaxed and is able to get his sleep and has a lot more energy, unfortunately for me, now he wont let me rest, 55555.